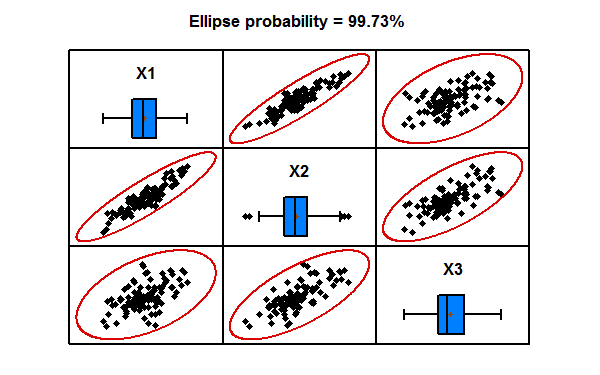 Statgraphics contains several procedures for manipulating statistical probability distributions. Each of 45 distributions may be plotted, fit to data, and used to calculate critical values or tail areas. Random samples may also be generated from each of the distributions with this stat software. The Statgraphics Probability Distributions procedure calculates probabilities for 46 discrete and continuous distributions. 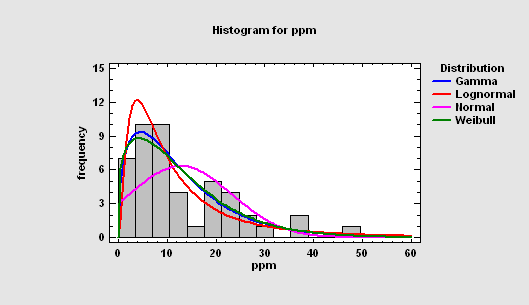 The stat software will plot the probability density or mass function, cumulative distribution function, survivor function, log survivor function, or hazard function. It also calculates critical values and tail areas. 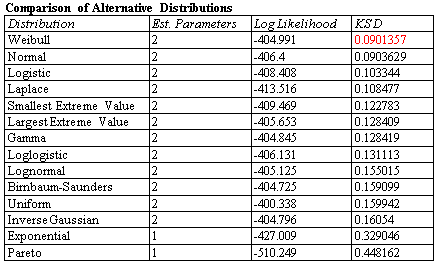 Random samples may be generated from any of the distributions given specified parameters value. 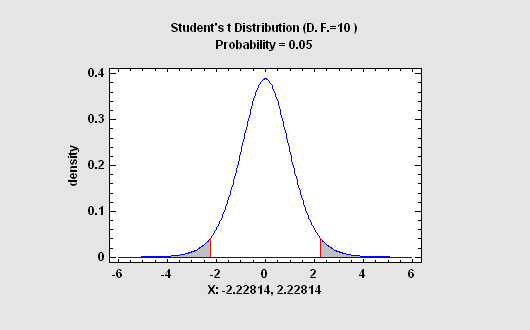 The stat software's Sampling Distributions procedure calculates tail areas and critical values for the normal, Student's t, chi-square, and F distributions. 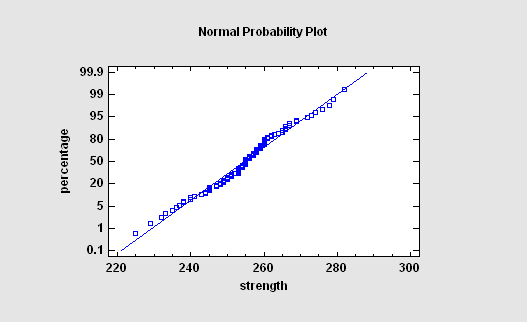 It also plots the calculated results. The Normal Probability Plot is used to help judge whether or not a sample of numeric data comes from a normal probability distribution. If it does, the points should fall close to a straight line when plotted against the specially scaled Y-axis. 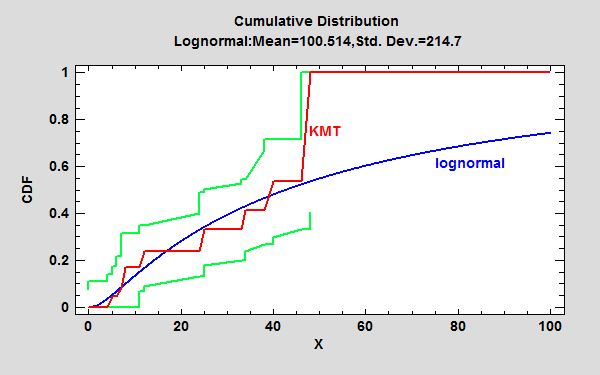 For non-normal data, you can often determine the type of departure from normality by examining the way in which the data deviate from the normal reference line. The Probability Plots procedure plots the data in a single numeric column on graphs that are specifically scaled so that, if the data come from a particular distribution, the observations will fall approximately along a straight line. 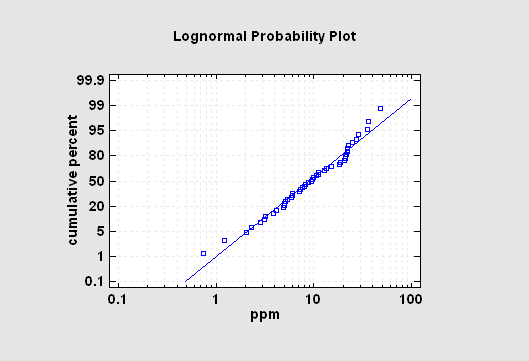 The procedure includes plots for the uniform, normal, lognormal, Weibull, smallest extreme value, logistic, and exponential distributions. The Distribution Fitting (Uncensored Data) procedure fits any of 46 probability distributions to a column of numeric data. The data are assumed to be uncensored, i.e., the data represent random samples from the selected distribution. If requested, many distributions may be fit and ordered by the stat software for their ability to match the data. Goodness-of-fit tests are performed to determine which distributions adequately model the observed values. The Distribution Fitting (Censored Data) procedure fits any of 45 probability distributions to a column of censored numeric data. Censoring occurs when some of the data values are not known exactly. For example, when measuring failure times, some items under study may not have failed when the study is stopped, resulting in only a lower bound on the failure times for those items. 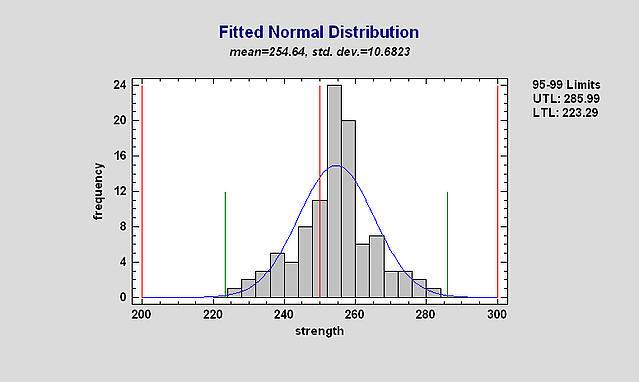 As with uncensored data, the distributions may be sorted according to their goodness-of-fit. Left-censored: known only to be less than a stated value. Right-censored: known only to be greater than a stated value. Interval censored: known only to fall within a stated interval. The procedure calculates summary statistics, fits distributions, creates graphs, and calculates a nonparametric estimate of the survival function. 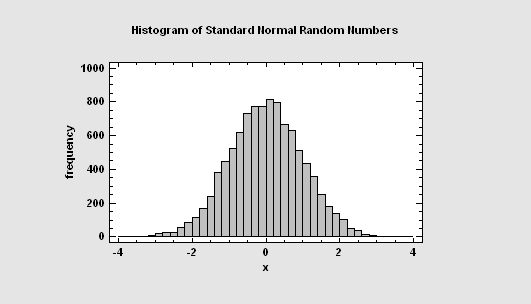 Random numbers may be generated by the stat software from any of the 46 probability distributions using the Probability Distributions procedure. They may also be generated as part of the Monte Carlo simulations in Statgraphics Centurion. 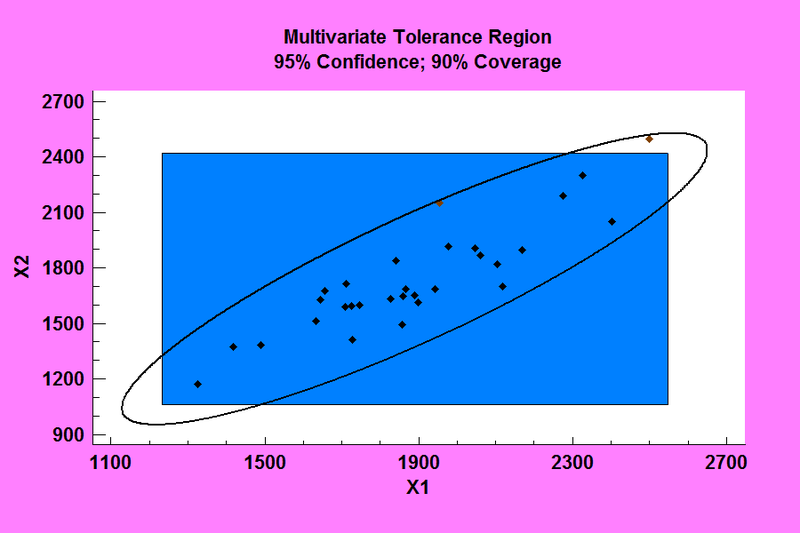 Statistical tolerance limits bound a specified proportion of a population at a specified confidence level. They have many uses, including demonstrating that a large proportion of the members of a population lie within required limits. 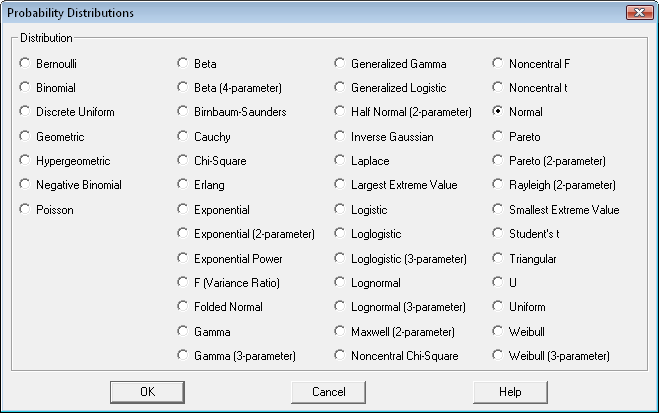 Statgraphics Centurion calculates statistical tolerance limits for 11 specific probability distributions, as well as nonparametric limits.